Could 3D-Printed Guides Enable Personalized Nerve Regeneration Therapy? Using 3D printed nerve guidance conduits, University of Sheffield researchers have succeeded in helping nerves to repair themselves in vivo. Consisting of a framework of tiny tubes, the implants were used to guide the damaged nerve endings toward each other, but with a personalized touch that wasn’t previously possible. The new method could more efficiently treat many traumatic injuries. Damage to peripheral nerves is a relatively common problem that can lead to a complete loss of sensation in affected areas. 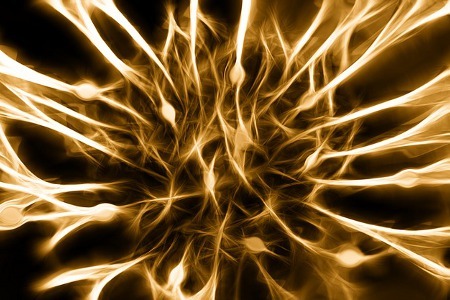 Peripheral nerves have a limited ability to self-repair, which enables recovery in certain situations. Nerve damage like this is often treated via surgery, especially for injuries where more than a few millimeters of nerve tissue is lost. Autografting is an option in some cases, a limited amount of graft material can be harvested without causing a problem elsewhere in the body. Sometimes nerve guidance conduits (NGCs) are used to mitigate the problems with autografting. These devices provide a template that guides the nerve cells growing from each end of the severed nerve until they reach each other in the middle. Existing NGCs are limited by several factors, including lack of suitable materials approved for use, and limited manufacturing methods, which result in general implant geometries. To overcome these limitations, researchers at the University of Sheffield have used 3D printing to provide a new, personalized alternative, according to a recent university press release. Where current NGCs are limited by geometry and are therefore only suitable for certain injuries, the new 3D-printed designs are completely customizable. Using computer models, the implants are fabricated with a 3D printing method called direct laser writing. Because their geometries can be easily manipulated, the implants can be designed for any type of nerve damage and even personalized for individual patients. Using the 3D printing fabrication method, the University of Sheffield team fabricated implants that were 1 mm in diameter and 5 mm in length, according to a recent study published by the team in the journal Biomaterials. Implanting the devices into a mouse fibular nerve model, the team was able to induce nerve regeneration across a 3-mm gap in only 21 days. The performance of the newly developed nerves was very similar to autograft controls, which shows the method has potential for replacing current autograft treatment methods altogether. The new custom NGCs were made from a common polymer material called polyethylene glycol. Following their successes in the animal model, the team is focusing on developing degradable NGCs and creating implants that may work across larger injuries.